Ifeanyi A. Okowa Governor of Delta State paid a visit to Mr. Zion Oshiobugie, the CEO of Clever Minds Academy at warri to Encourage his Zeal toward helping the young once get a good and standard Education. 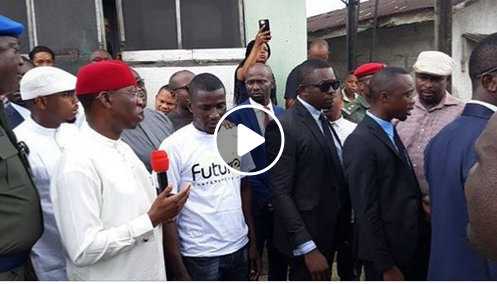 Okowa was very pleased with the look of things, how people around that environs love what Mr. Zion Oshiobugie is doing and his vision toward standard and affordable education. 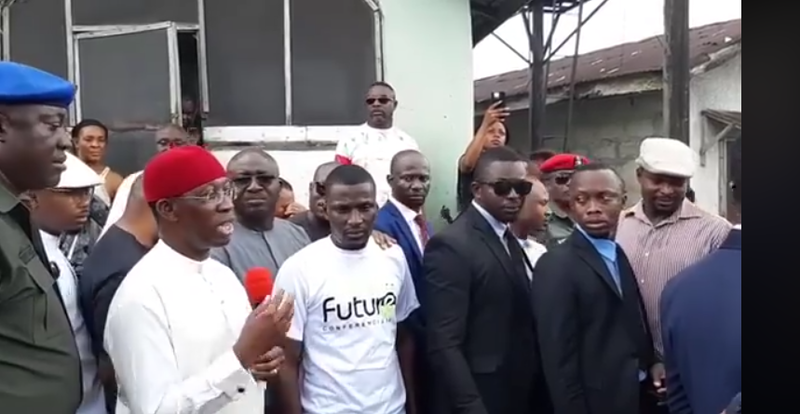 The Governor later mentioned in his speech, to give a full support to Mr. Zion Oshiobugie the CEO of Clever Minds Academy at warri for a better and standard education. As I was being given a tour to see the facilities and teaching tools they had available, I also learnt that the children are trained on developing positive mindset and on acquiring some entrepreneurial skills at such young ages. I must commend Mr. Oshiobugie for what he has accomplished so far with the kids, with such little resources. I also urged the community to give him all the support he needs, as these are the kind of things we all need to promote, things that will help our society become better and help our young ones become something for themselves after graduating, rather than going about with CVs looking for jobs. And as a government, we will do our best to support Mr. Oshiobugie so he can keep up with this wonderful project and also take it to other communities.